These maps rank the three-year drought severity during 2012-2014 compared to all other consecutive three-year periods since 1901. The map on the left is calculated from the observed climate records. The map on the right is calculated after removing the global warming trend from the temperature records. 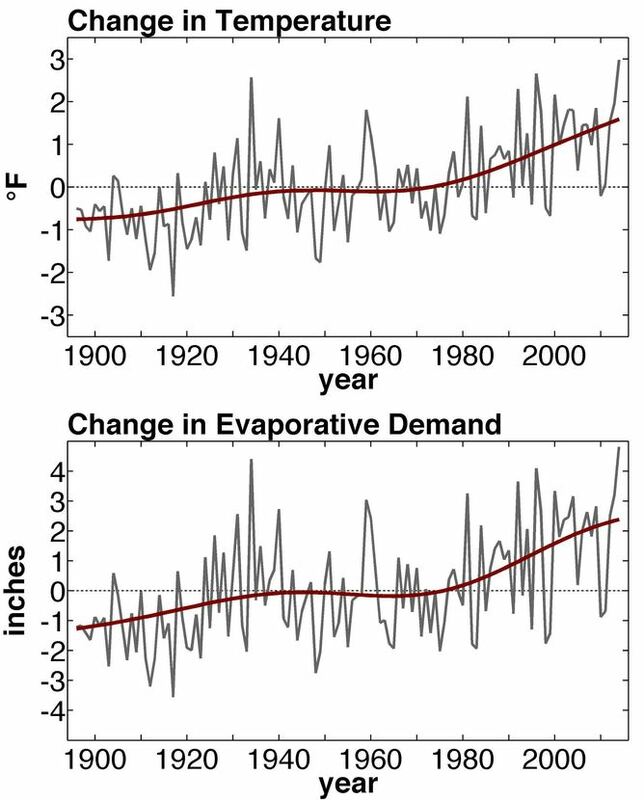 Change in California’s annual temperature and atmospheric evaporative demand during 1896-2014. The grey lines are the observed annual records and the smooth dark red lines are the trends caused by global warming (averaged across the various global warming trends we considered). Values in these graphs indicate departures from the 1931-1990 mean conditions. 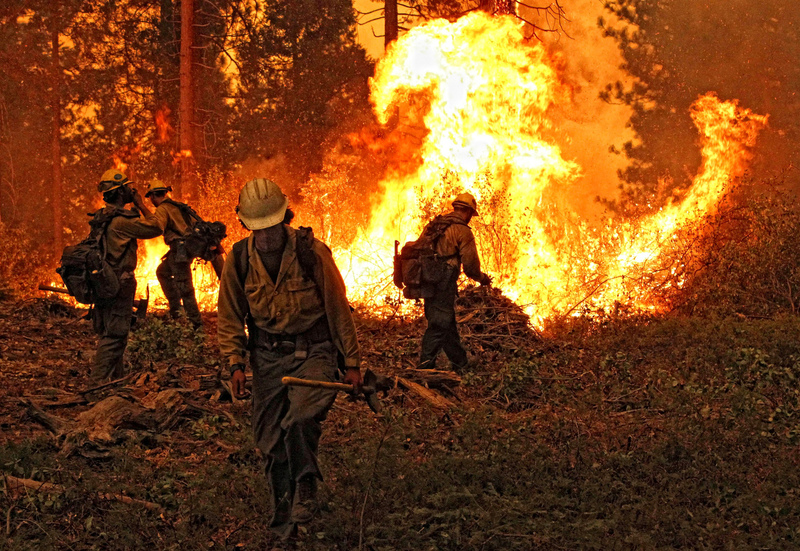 Higher temperatures are contributing to an active forest fire season in the West.